The Rev. Father Alban Butler was born in 1710 at Appletree, England. While still a youth, he was received into the English College of Douai, Flanders and subsequently ordained a priest in 1735. 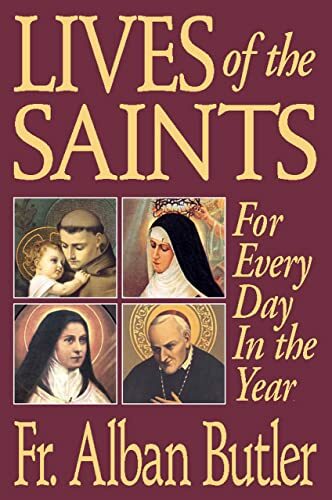 HisLives of the Saints, originally titled Lives of the Fathers, Martyrs and Principal Saints, was the fruit of about thirty years' research and work. Additionally, he was a persevering, diligent, and hard-working priest who included biographies of over 1,600 saints in his aforementioned literary effort. Father Butler's Lives of the Saints was also printed by TAN in 1995 with the Nihil Obstat and Imprimatur. He died on May 15, 1763.